When it comes to travel accommodations, I'm not hard to please. I have slept in the cheapest hostels and rent-a-houses to 1) save cost and 2) allocate excess budget to other travel activities but during our recent trip to Hong Kong, my sister and parents decided to book us at Dorsett Mongkok Hotel. We just took 2 rides from the MTR to get here and walked from the train station. 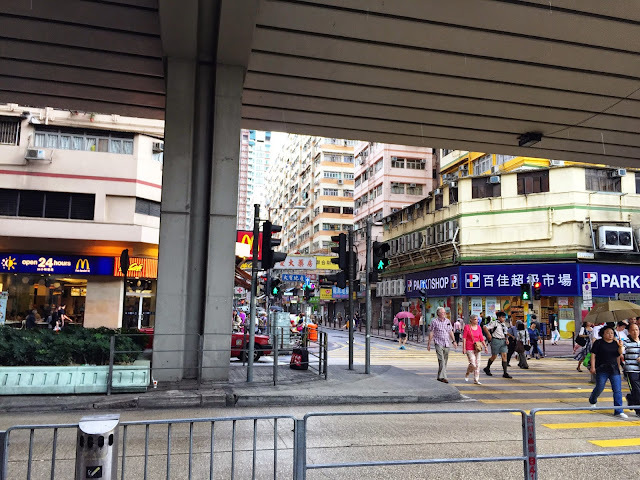 Even just outside the hotel, I was glad that Mcdonald's, Park n' Shop (convenience store), Watsons (drug store), 7-11, and local noodle houses. This was a very convenient location for us. The surroundings weren't fancy so I was surprised when I walked in. The place was very nice and I would like to note that their lobby smells like fresh lavender. It helps lessen the stress in waiting time and we walked a little far so it helped me relax. We were given a 27% discount since my sister booked it early March for our May trip. Surprise, suprise. We were assigned to the 27th floor. My mom and dad were in a separate room and the 3 of us were in a suite. The beds were very conducive to sleeping. They were very soft and the sheets are clean. This may be something menial but it's the little details which make me believe that the hotel is dedicated to deliver the best service. We had 2 single beds and 1 queen-sized bed at the other side of the room. There was also 2 TVs at both sides of the room which I really liked (although we didn't watch TV during our trip). Since Dorsett Mongkok is mainly a business hotel, they always have a working table provided for the customers. I didn't bring my laptop but if I did, I would have worked a lot here. They also provided a smartphone for the wi-fi in the room. You can bring it outside so you'll have internet while roaming around. There is also a complimentary water bar and drinks bar. The Pringles costs 30HKD if you eat it. For the closet, there was ample space but we didn't get to use this much since we just kept our clothes in the bags. The CR ( called WC or wash room in Hong Kong) had a sliding door you can't lock. Apart from that, everything else was spot on. 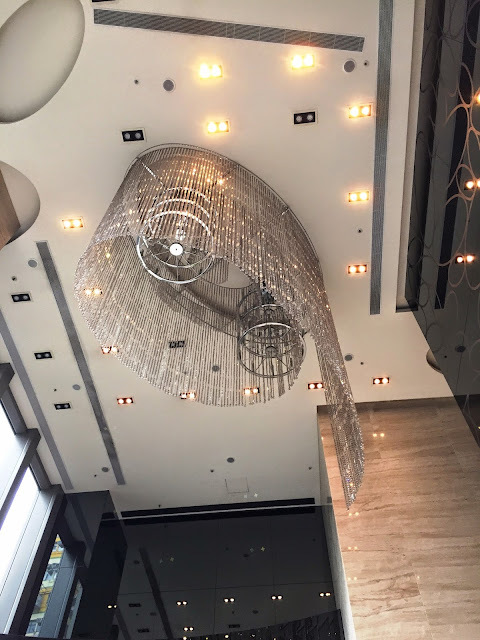 Overall, I would recommend Dorsett Mongkok to travelers going to Hong Kong based on my experience. The staff were very helpful. The rooms are priced higher than most hotels since it's a 4-star hotel but you do get value for your money. It's not as expensive as you'd think. Book directly at http://www.mongkok.dorsetthotels.com/en/home/ using your credit card. This will save you money. The credit card holder must be with you during the trip if you're booking multiple rooms. Since my sister was the one coordinating with them using my dad's credit card, they asked to get authorization form my dad and also him being the one to pay for the transaction online. Book ahead of time to avail discounts. We booked 2 months ahead and we got 27% discount as mentioned before in this blog post. 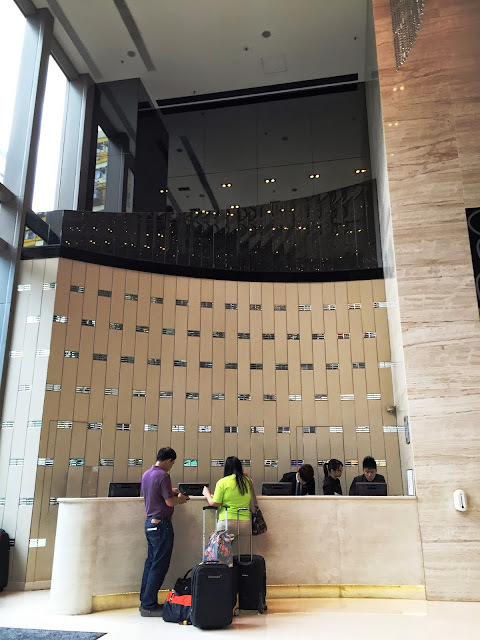 There are 2 ways on how you can commute going to Dorsett Mongkok to and from the airport. Get an Octopus card at the Airport station (150HKD, remaining amount is refundable). You can reload this for going around in Hongkong and if you're buying at stores. 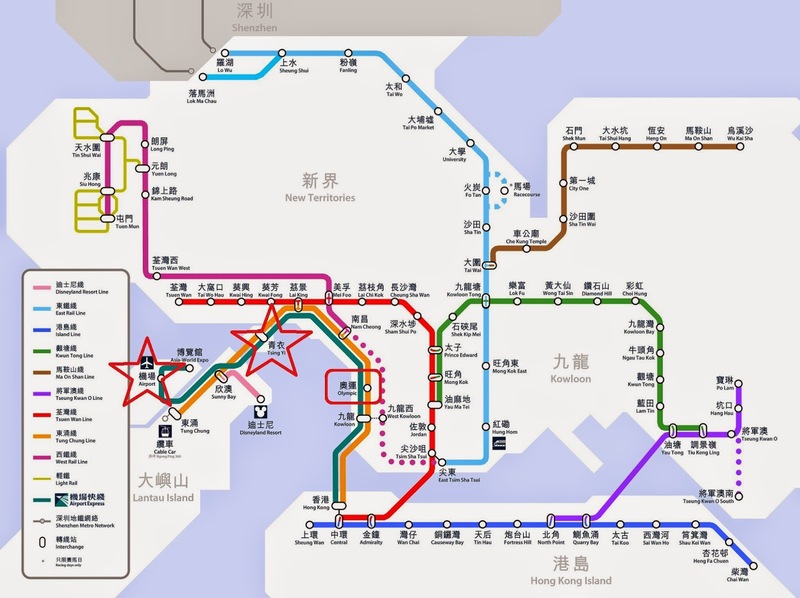 Once on the express train from the Aiport Station, go to the Tsing Yi interchange. This will be 60HKD. At Tsing Yi, ride the train going to the Olympic station. This will be 9HKD. From the door, walk straight then turn left (not the one going at the edge of HSBC Centre). The land mark is a closed pub. Walk straight from there. When you get to the highway, turn right. Walk straight ahead until you see Mcdonald's. 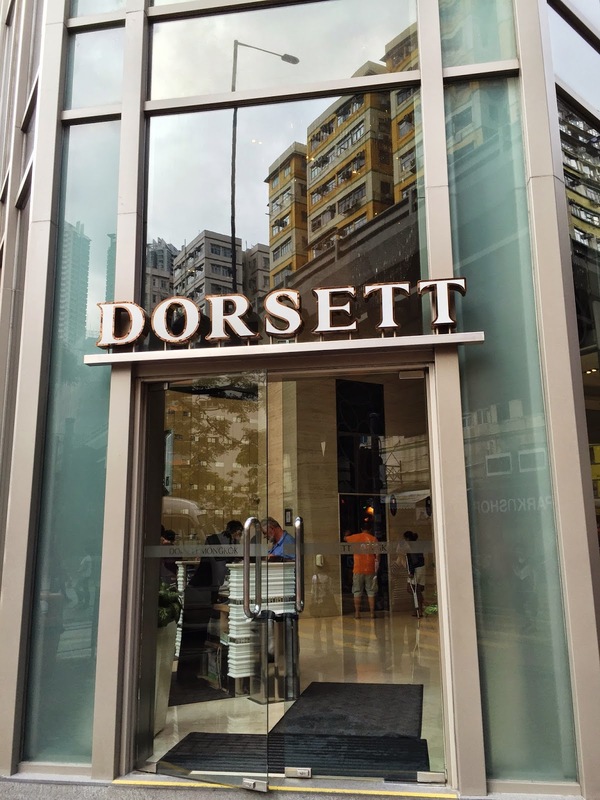 Cross the street to get to Dorsett Mongkok. Walking time is 15-20 minutes. The taxi only accepts cash. The Octopus card cannot be used. The fare ranges from 230HKD to 245HKD. There are 4-persons and 5-persons taxis so check the sticker indicator at the back. There is a free shuttle provided by Dorsett Mongkok which you can ride going to other places in Hong Kong. We rode this going to the Lang Nam Mall. Just ask the concierge if the shuttle can drop you off where you're going. Bring the water from the free water bar while walking around. Bottled water usually costs 7-8HKD at grocery stores but around 10HKD at food places and 25 HKD at theme parks. They refill your free water bar upon request. The place looks great! :) Wishing I can go to Mongkok someday!